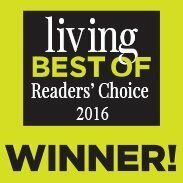 That’s Clean Maids: House Cleaning Referral Agency in Cinco Ranch TX that keeps your home spotless! 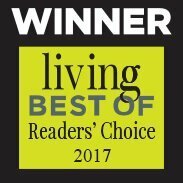 A premium house cleaning referral agency in Cinco Ranch TX is here to make your life a lot easier! You can count on That’s Clean Maids to match you with the best in the business to do all the dirty work and boring cleaning chores for you, so you can devote time to things that matter! If you live in Cinco Ranch, you know how beautiful it is. Despite that, you don't get to enjoy it much, as you probably don’t have enough time for long walks, jogging or biking. Clean up your to-do list – let someone else clean your house, so you can enjoy the company of loved ones or catch up on a neglected hobby. Your home will never get cluttered again, if you book an appointment through That's Clean Maids and take advantage of the best Houston house cleaning has to offer. Keeping your home spotless is next to impossible! But, if you find the right cleaning package, you're halfway there! Flat rates? You've got it. Hourly rates? No problem. Don't want a contract? It's on. Our sole goal is to not only meet but also exceed your expectations! Our focus is YOU. This is why personalized cleaning your new cleaners offer is the best thing you can do for yourself and your home! Once you delegate the dirty work to cleaning go-getters, you will discover how much free time can help you organize your life better. Spend a day shopping at LaCenterra at Cinco Ranch, or go explore Bayou Nature Trail, extending almost four miles through woodlands and wetlands. It is time to live life to the fullest and welcome new experiences in this lovely neighborhood. In the meantime, rest assured your home will be perfectly cleaned according to your preferences. If you want to stay at home and have friends come over whenever you feel like it – do it! No more hours and hours of cleaning before every gathering at your place. Book an appointment and let us give you a helping hand! You need a detail-oriented and trustworthy team to make your home shine, and this is precisely what we will send your way. If that is your preference, we can arrange that the same cleaners are sent to your home each time you make an appointment. We appreciate your time and try to save it every step of the way. We charge only after the job is done, and our online booking process is simple and easy to understand. 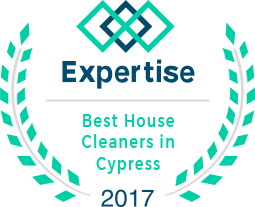 House cleaning in Cinco Ranch TX has never been easier! The cleaners we work with also provide house cleaning services Atascocita, house cleaning services in Richmond, house cleaning services in Sugar Land, house cleaning services in Rosenberg and house cleaning services in Pearland, areas. Insured cleaners we team up with are reviewed after each job by the customers. 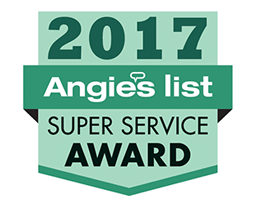 They are constantly rated based on your feedback, so you can be sure only top professionals are in charge of your home being strikingly clean. You need it – we help you have it, in simple steps like 1,2,3. We do the research for you! We make sure all cleaners sent to your home are previously thoroughly checked, so you can be sure their references are valid. Your loved ones will be happy to know you'll get to spend more time with them, without the risk of being covered in dust and clutter. Forget about complicated payment processes – our policy is to only charge after the job is done, and the mechanism is simple, secure and easy. Your experience and feedback are of utmost value to us. Tell us how satisfied you were with the cleaning, and help us get better and better. Our ultimate goal: top quality performance. We send automated reminders about your scheduled cleaning service, and we’d love to hear from you anytime – call us or email us. We’re easy to reach!